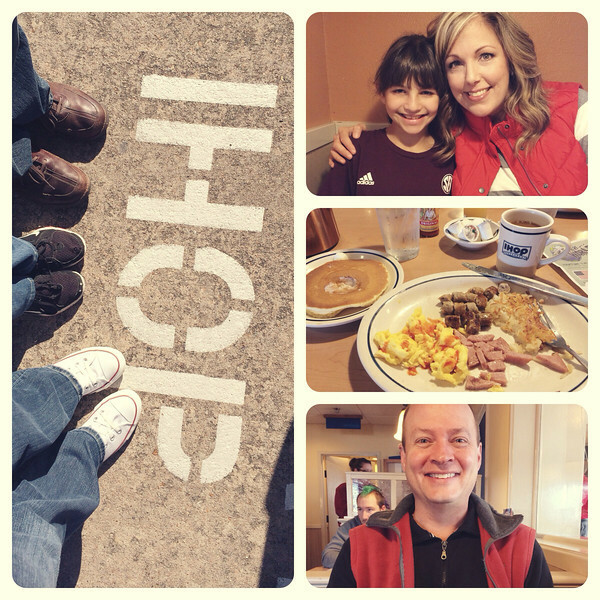 THIS is one our favorite ways to start the weekend, breakfast out. Sometimes (okay, usually, it's IHOP but other times we branch out, like to the Egg and I or we really go wild and go to Denny's). THAT is my plate with the meat all cut up at one time because I am five instead of forty-five. Or OCD. Whichever. Annelise and I split the breakfast sampler so maybe, just maybe, we weren't so gluttonous. THIS is what we did after breakfast. We gave THAT six enthusiastic thumbs up. I didn't know a lot about the movie beforehand so I was pleasantly surprised by the story (the sisters are spunky and strong willed) and the music (Elphaba herself, Idina Mendez, is the voice of Elsa and Kristen Bell (Veronica Mars anyone?) is Anna. But hands down, Olaf the Snowman stole the show. I even got a bit teary near the end. What? 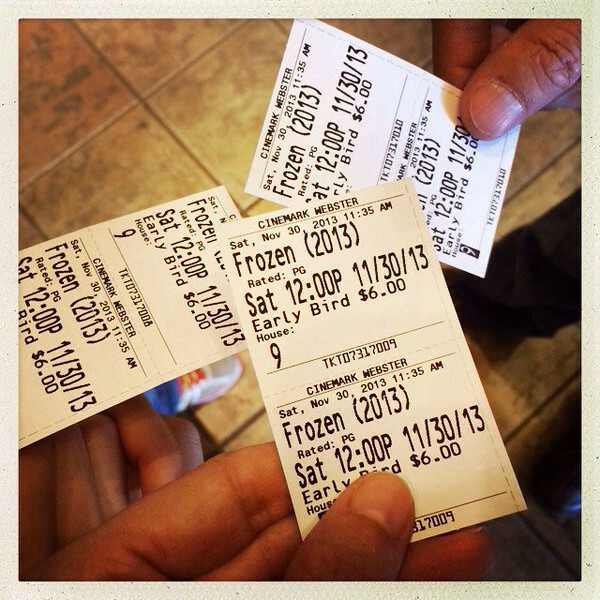 So yeah, I highly recommend seeing Frozen muy pronto. 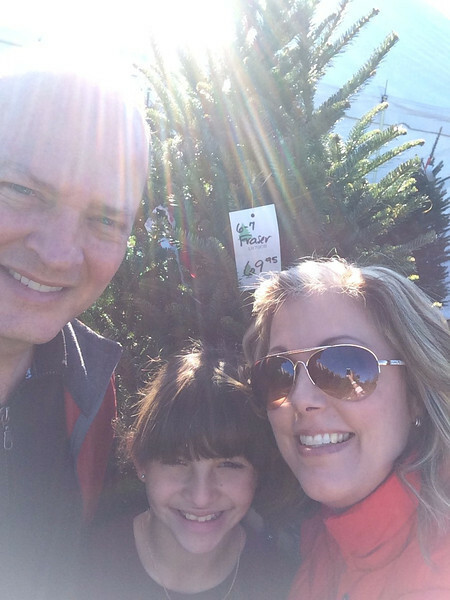 After a week of chilly temps Saturday warmed up just in time for us to sweat while picking out our Christmas tree. THIS is the one that came home with us. THAT's a Fraser Fir, sir. Every year we toy with the idea of another kind of tree and even briefly consider the Noble Fir but always go back to our lobster tree, Fraser. We haven't decorated it yet, hey we were thrilled to even have THIS tree before December 1st, but we do have white lights twinkling away. Also over the weekend Scott channeled his inner Clark Griswald and put our outdoor lights up. Okay, he's not really CG, we just do white icicle lights (are those still in? I hope so!) and THAT's it for outdoor decor. In the process he had to cut down some vines as he was climbing around on our porch rails and is now 40% covered in Calamine lotion and is taking steroids for an allergic reaction, possibly poison oak. So he's feeling merry. And he's bright, red that is. I'm showing up for #44milesindecember to keep myself not only moving but accountable. THAT's one of @Hausofgirls_fitfamily monthly fitness challenges on Instagram (I'm @marathonbird if you want to follow). With all the holiday (and recent birthday) celebrations I've got to get back to more exercise and cleaner eating. My goal is to get a few short runs in during the week* and a slightly longer run in over the weekend. My other goal add in T25 or TurboFire and some strength training. I did really well over the summer but have struggled to stick with it this fall. But here's to a fresh start--and a finish! 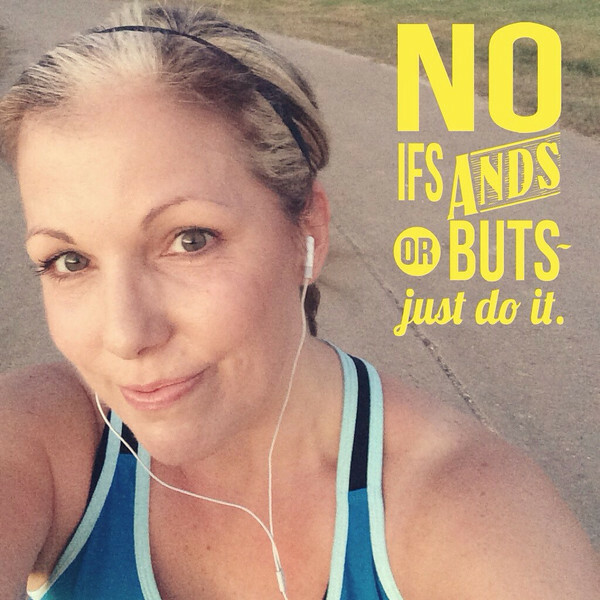 *It's hard to get my runs in before dark (thanks time change!) (unless it's cooler weather and I can run mid-morning or afternoon) but I try to get finished soon after sunset. I'm trying not to think too much about the coyote sightings our neighbors keep talking about, they only come out late at night, right?